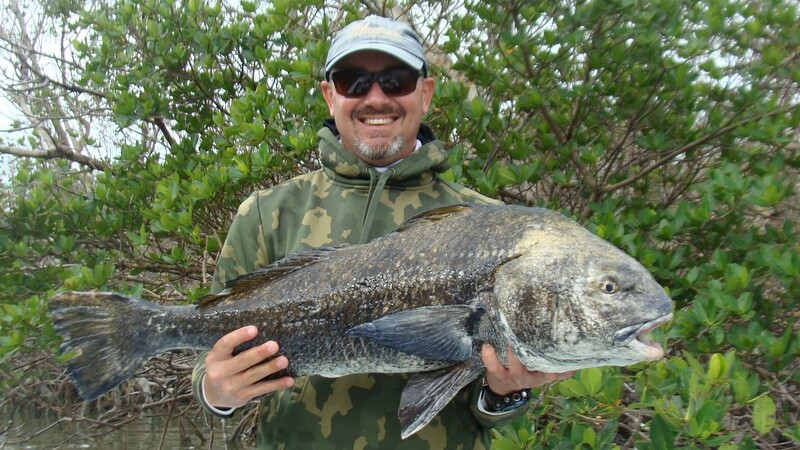 Saw dozens of beautiful goldish colored black drum in the ENP last week that wouldn't eat anything I threw at them. Wouldn't you know the one that agreed to eat an arti right next to the boat was black, gnarly & looked like my twin brother! Good grief, that thing is uglier than old Nagjuice!